National Press, Inc. North Chicago. Description Sepia photo. 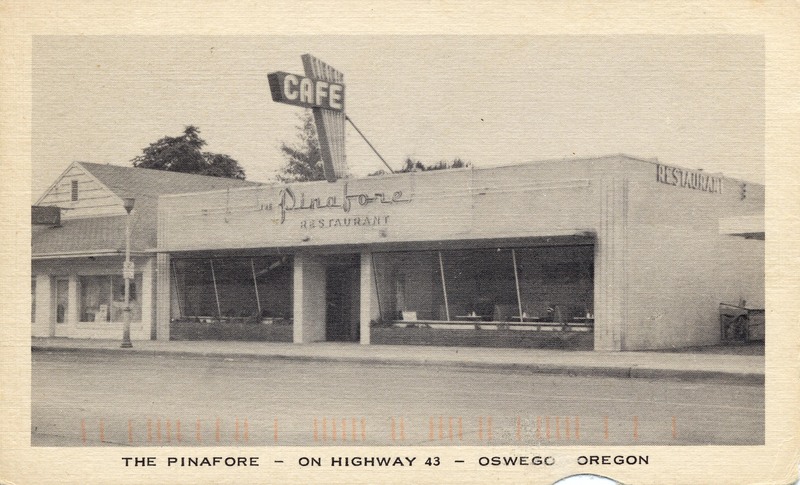 On front: The Pinafore, on Highway 43, Oswego, Oregon. Cafe. Small tear on bottom of postcard. Purchased on eBay 12-2007. Transcription National Press, Inc. North Chicago.